Your wedding is a monumentally important day of your life. On this day, your partner and you are able to become one. Though this day can have many symbolic meanings, it also one of the most memorable moments of your life. Everyone remembers their wedding day. The key, however, to having an incredible wedding day is to plan it well. 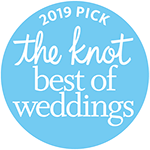 Though weddings are about the union of two people, they are also a way to reconnect with your most beloved friends and family, and share one of the most important moments of your life. So, sit back and relax, as we go over some of the things you need to consider before you start planning your wedding. When did you fall in love? What makes your relationship special? These are important questions to ask yourselves and let your answer be represented in your wedding. There are millions of weddings every day, but yours should reflect your relationship and personalities. There is no rule book for how your wedding should be; you make it what you want, because it is your day! Before you do anything, you need to have a basic idea of how much you want to spend on your wedding. Of course, if you have parents nice enough to pay for the whole thing, that’s nice. However, most of us don’t have this luxury. Before you initiate your planning process, you need to analyze your financing and determine how much money you can feasibly spend on your wedding. 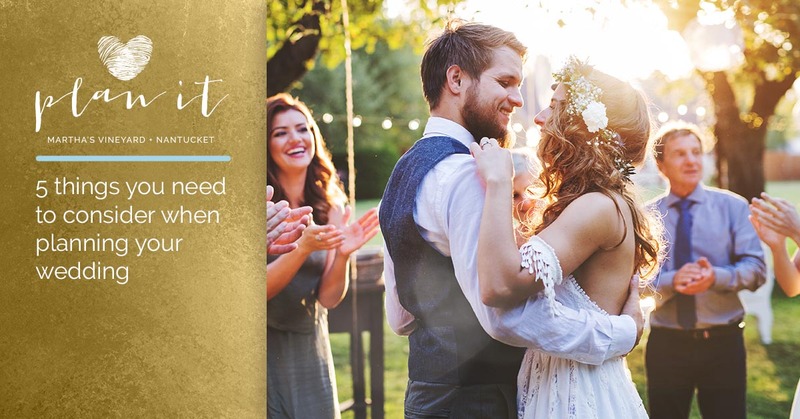 If you don’t have enough to have the wedding you envision, save up! Remember, there is no rush. It is better to save and receive the wedding day you want, rather than rush the whole process for a low budget. Once you have a rough estimate, you will be able to determine how many people you will be able to invite. Remember, if you are planning to have a formal dinner at your wedding you will be expected to have enough food for everyone you are inviting; this includes providing plates, napkins, utensils, tables, chairs, glasses, and so on. So, as you can see, this the “price of each seat” at your wedding increases your final costs exponentially. One of the most important things you need to determine is where you want to be married. Your guest list will also determine where you will be able to get married. For instance, if you have a widely large guest list, you may be better suited to host your wedding and celebration outside. Ultimately, where you choose to be married will determine how many people can be in attendance. 5. What Type of Wedding Do You Want? Classic? Modern? Rustic? You need to choose the theme of your wedding before you begin your initial planning process. Typically, your wedding’s theme can be determined by the type of couple you are and what values you hold dear. For instance, if you want your wedding to be more traditional, a classic wedding theme and accompanying decor are ideal. But, if you are more of a modern couple and would like to play with the rules of matrimony, a modern theme with relaxed rules, unique decor, and artistic themes might be more your style. Contact us if you are interested in getting started on your wedding planning adventure. Contact us today!